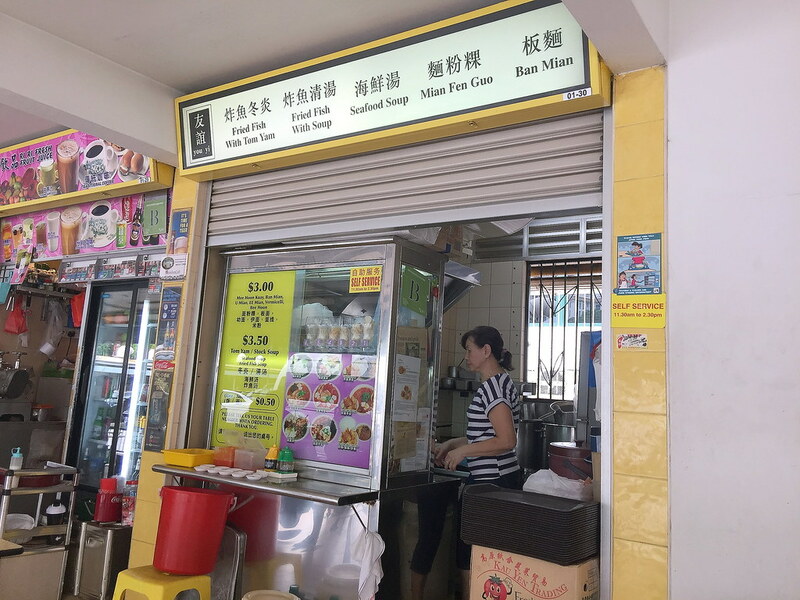 During a recent project, I went down to Havelock Road Food Centre to have lunch and I noticed a queue at You Yi (友谊) food stall that sells Seafood Soup, Fried Fish Soup, Mian Fen Guo and Ban Mian. As I was alone, I could not order everything to try. 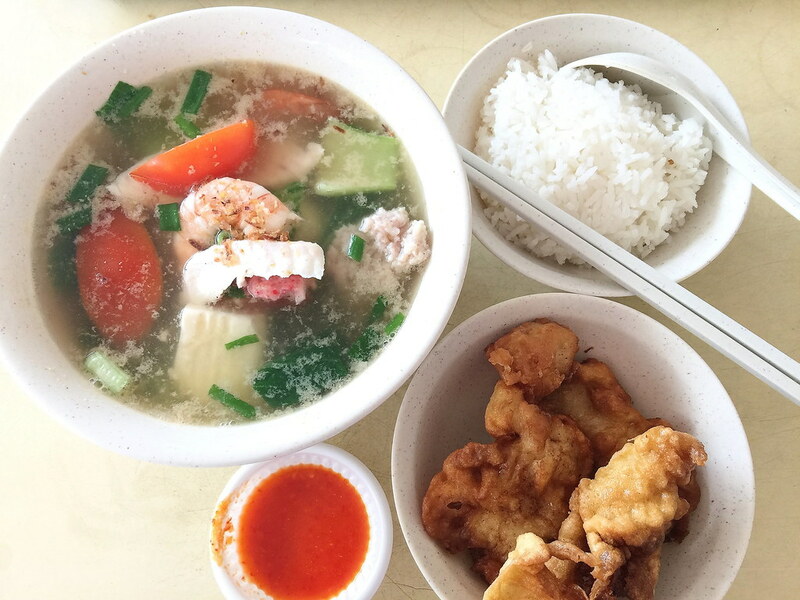 After browsing what is popular among the patrons around the tables in the hawker centre, I decided to order the Seafood Soup ($3.50) and a separate side of Fried Fish ($2). The seafood soup is the clear and sweet type, without the rich crustaceans flavour. 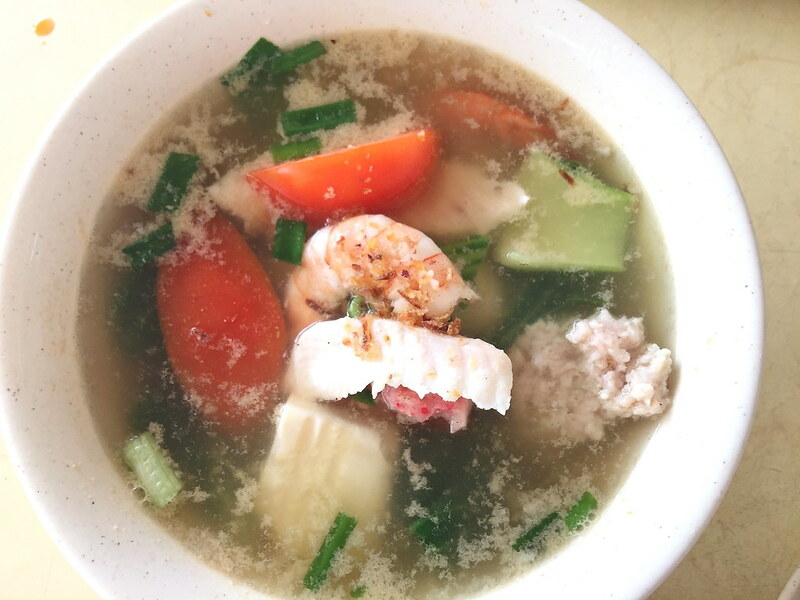 In the bowl of seafood soup, you can find tofu, fish ball, crab meat ball, prawn, fish, minced meat and tomato. The Fried Fish which I added on as a side dish is really chunky and it felt like having a mini version of fish and chip. Unfortunately this was pre-fried and it did not have that enjoyable crispiness. 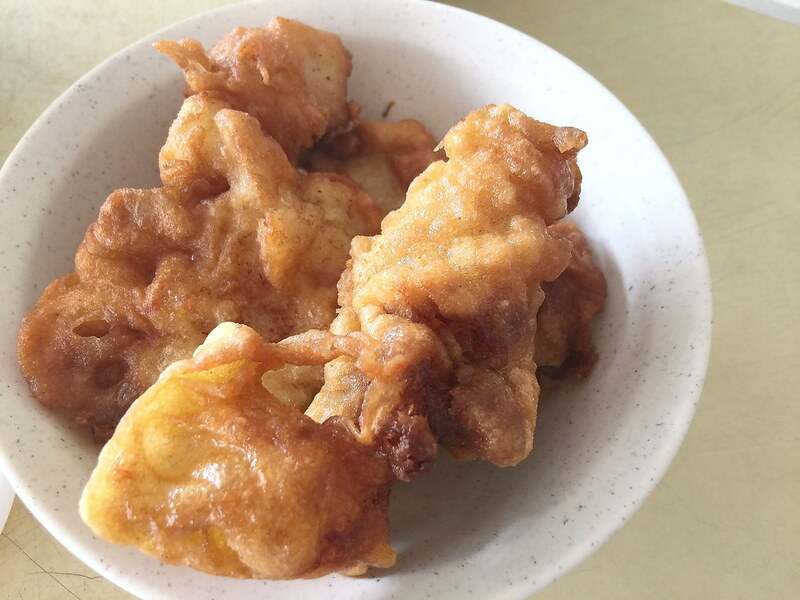 Even so, I could still bite in bits of crispy batter and I could only imagine how good this is when they were just out of the hot boiling oil. If you are in the vicinity, I would recommend trying its seafood soup and fried fish. During my visit, I noticed many patrons were having their Tom Yam Ban Mian Soup. In my next visit, I shall give the tom yam ban mian soup a try.